One of the key aspects of macaroni production lines is the type of packaging machinery that will work for these products. This machinery is required to meet the specific packaging needs of many different types of macaroni products, while helping maximize the longevity of the product without any risk of contamination or damage. At High Performance Packaging, you’ll find some of the best machines to complete your packaging lines, with a variety of top-quality options to purchase based on your needs. 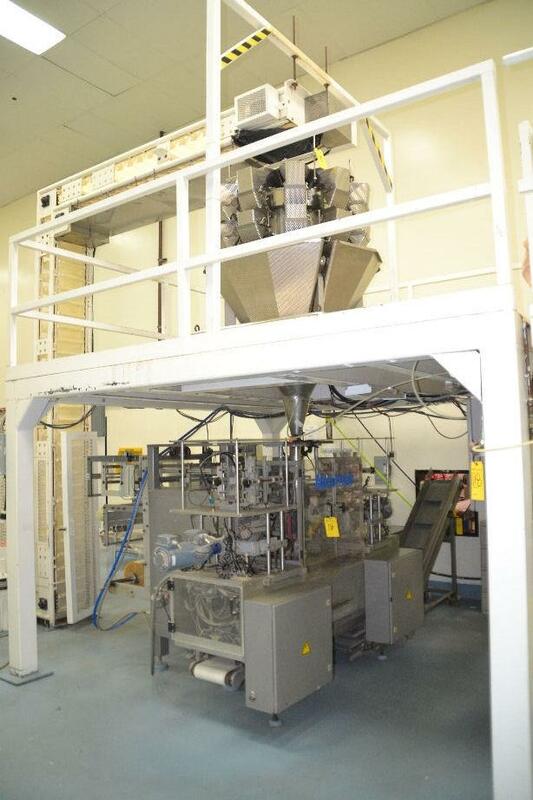 We offer several types of used macaroni packaging machines for any application. Depending on your specifications, we have the supplies that can easily complete your systems and optimize both efficiency and profitability. Our full selection of equipment includes several types of HFFS and VFFS packaging machines, conveyors, bucket elevators, vibratory feeders, labelers, combination weigher scales, printers, and other equipment that can meet your needs. To help maintain the same level of quality across our entire product line, we only carry machinery from some of the top manufacturers in the industry, such as Hayssen, Ishida, Yamato, Matrix, Bartelt, Kliklok, and many others. Using one or more of these machines in your systems will help you avoid costly and time-consuming breakdowns, thus increasing cost-effectiveness and efficiency. Why Trust High Performance Packaging for Consistent Results? What helps High Performance Packaging stand out from other types of packaging machine companies is the dedication to customer service with every purchase. We only sell reliable macaroni packaging machines that have been tested to help ensure they’re in working condition upon putting them on the market. We can also provide replacement parts for machines when required, including sealing bars and forming tubes, which can help you get the most out of your machines rather than requiring you to replace them. To help make sure you’re satisfied with your purchases from High Performance Packaging, we offer a selection of services along with our machinery. The services we provide including line startups, operator training, performance improvement, OEE programs, preventative maintenance programs, and troubleshooting. Each service can help maximize both efficiency and effectiveness across your entire packaging systems, helping prevent breakdowns and downtime that might otherwise hinder productivity and harm your business. If you’re searching for the perfect macaroni packaging machines to complete your packaging systems, contact High Performance Packaging and we’ll connect you with one of our experienced packaging professionals who are eager to help you immediately. You can also take a look at our complete selection of machinery on our website and request a free quote for any of our products. We’ll help you find what you need to meet all of your packaging system requirements.